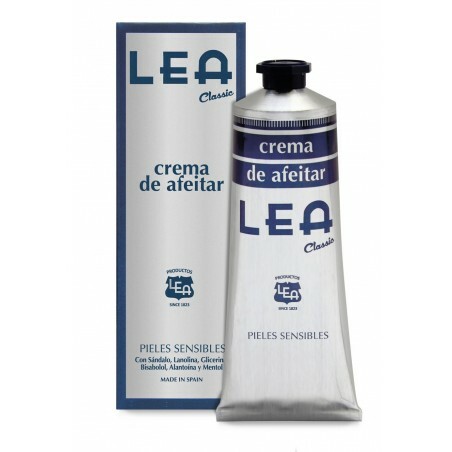 LEA Classic Shaving Cream Tube 100g. Scented with Sandalwood and Moss is formulated with lanolin, glycerin bisabolol, allantolin and menthol. An exclusive blend of ingredients that products a rich leather that softness the beard and protects the most sensitive skin during shaving.